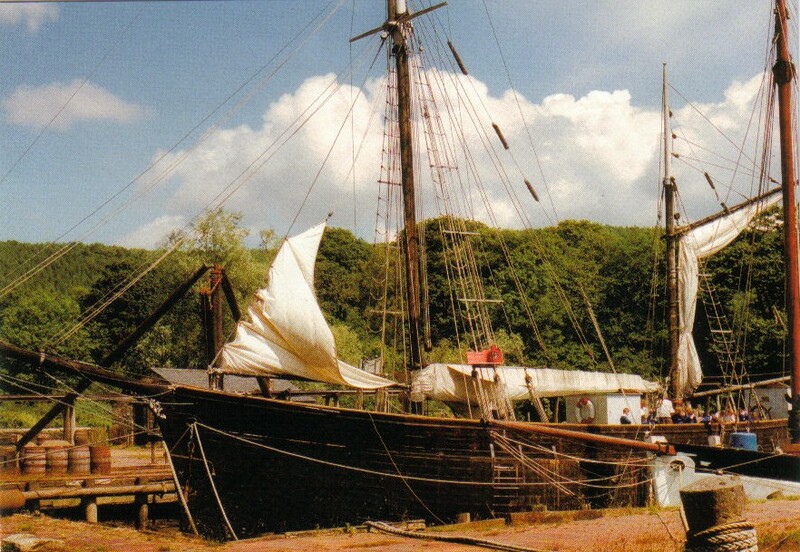 GARLANDSTONE is a ketch built in 1903 to carry cargo under sail. She was carvel-built of timber from the Cotehele Estate, but was not finished and ready for sea until 1909. 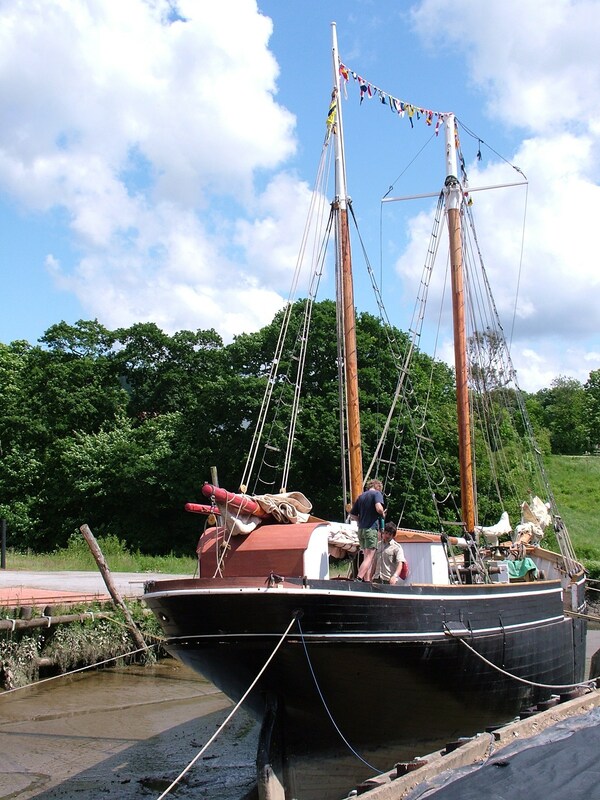 Her build reflects the traditions of the Tamar River area with a keel of English elm, pitch pine decks and her keelson made from teak almost certainly taken from the naval dockyard at Devonport. 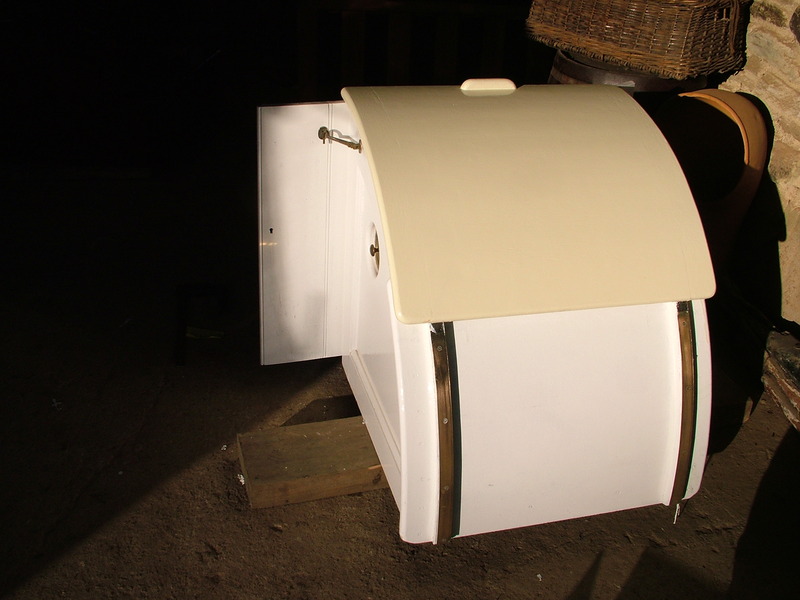 She has little dead rise, quite a hard turn of bilge and is flush decked without a raised covering board. Her propulsion was initially by sail alone however by 1912 her after cabin was removed and replaced with an engine space containing the twin cylinder paraffin engine built by Brazil Straker & Co. Ltd. of Bristol. 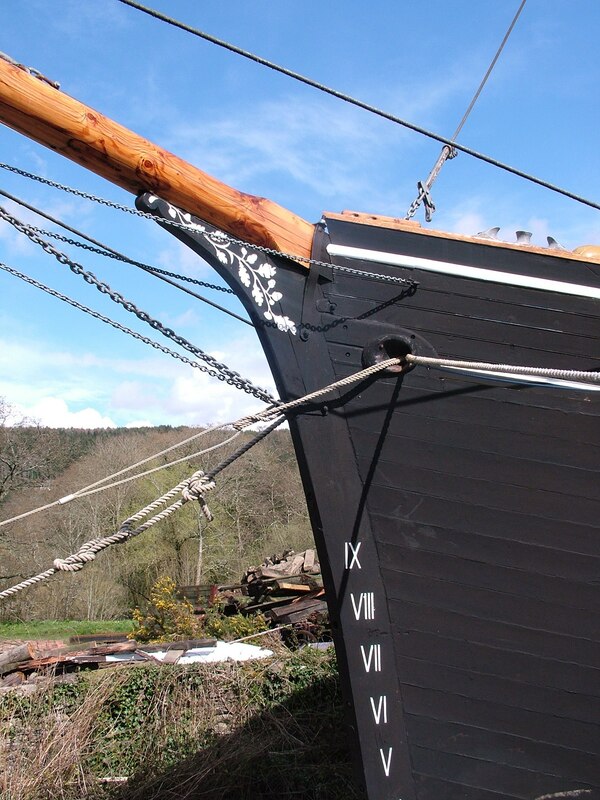 In her later working life, her foretopmast was shortened and her sail area reduced. 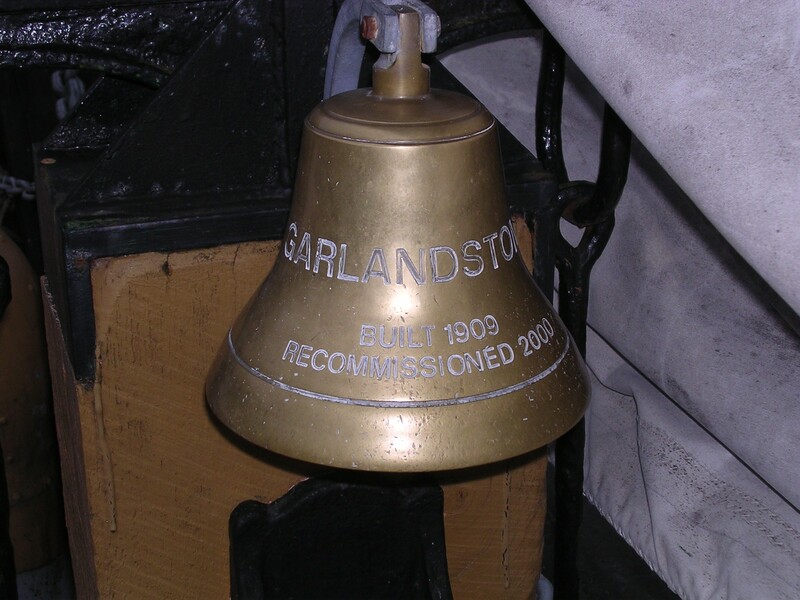 GARLANDSTONE was subject to a programme of conservation work in the 1990s with the help of a Heritage Lottery grant including: restoration of her frames, planking and stanchions, her ceiling planking and beam shelves, deck planking, deck beams and upstanding. 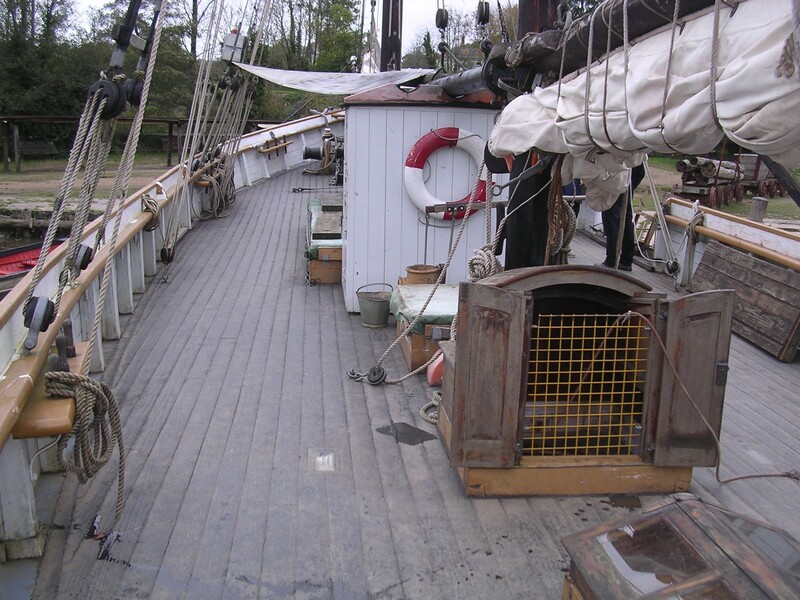 The hatch coamings and companionways were replaced, her fo’c’sle and aft accommodation was fitted out, stern repairs were made and she was fully re-rigged. However, since then her time as a static exhibit with no external protection has led to further deterioration and her interior is currently stripped with no bulkheads or engine and flood damage has contributed to the need for further conservation work. GARLANDSTONE was built in Devon by James Goss, one of the West Country’s finest shipbuilders, and is the last but one wooden merchant vessel built in Southern England. As such, she has close associations with Cornwall, although she was first registered at the Port of Milford Haven in 1909. 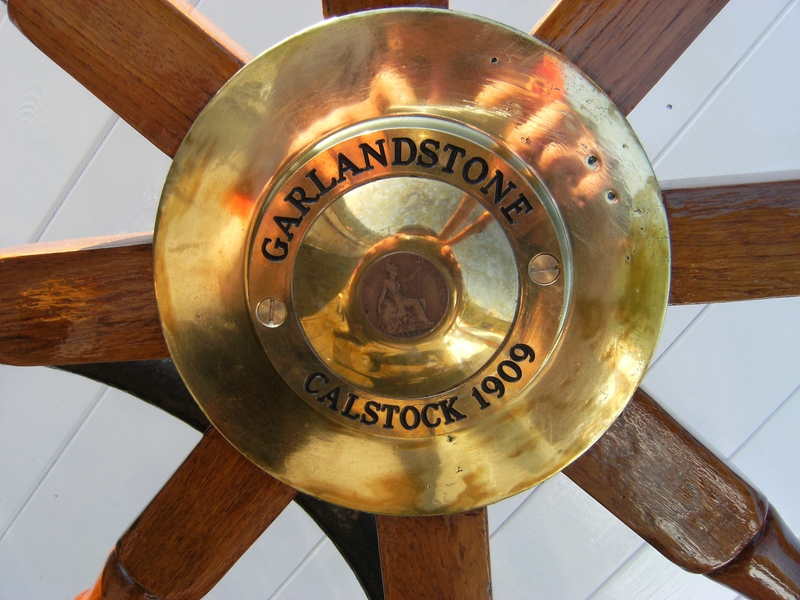 During the First World War, GARLANDSTONE continued to trade around the ports of South Wales and the Bristol Channel, and on at least one occasion crossed the Irish Sea. 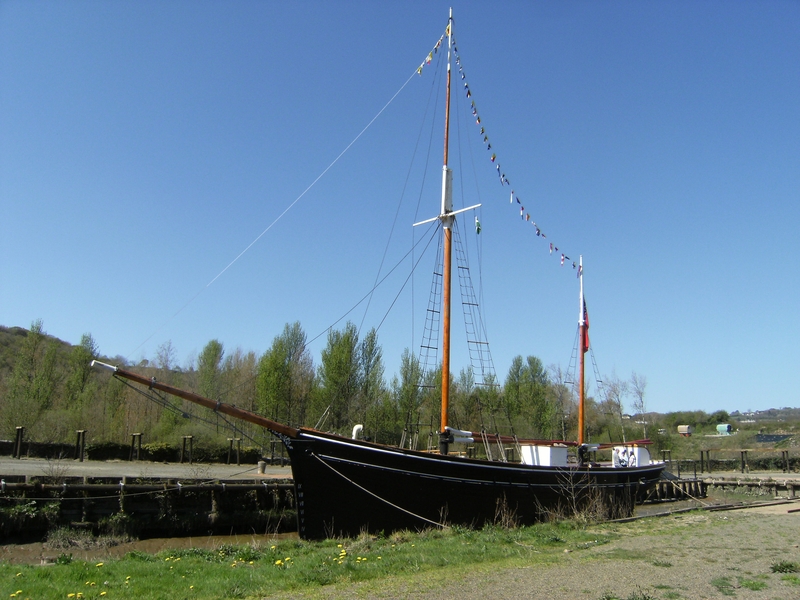 She may also have been one of the many sailing vessels that transported coal from South Wales to the allied forces in France. Between 1920 and 1941, GARLANDSTONE operated principally in the salt trade from Gloucester or the coal trade from Lydney to small ports on the south and west coasts of Ireland. In these years she operated for some time under the command of Micha Leszczynski from one of the great families of Poland. 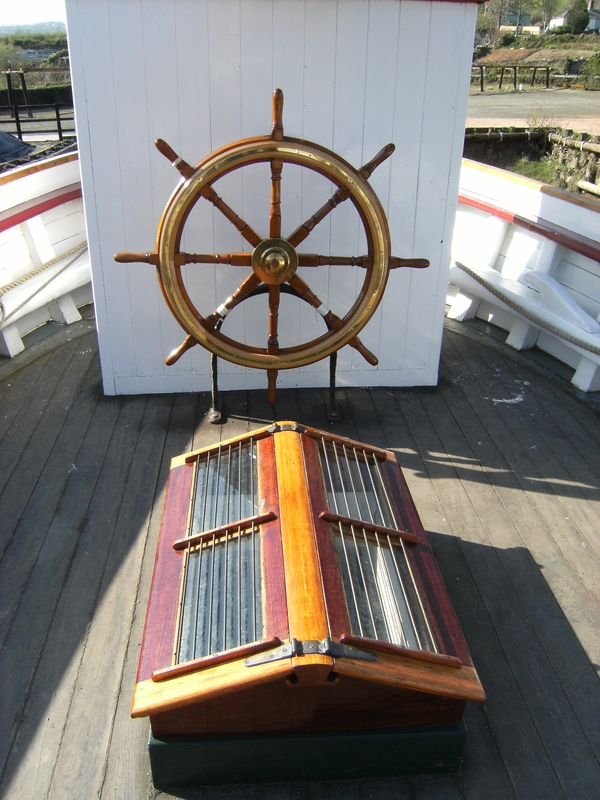 She also continued operating during the Second World War, being purchased in 1943 by Alfred Parkhouse of Braunton, Devon, a member of a well-known coastal sailing vessel owning family who also owned the ketch CLARA MAY. In 1961 she was sold to a United States citizen and her British register was closed. Although she has mainly regional connections, her national significance is due to the fact that she is one of only two surviving coastal ketches of her kind. She has been recorded on the National Register of Historic Vessels since 1996 and is part of the National Historic Fleet. GARLANDSTONE has been described as the finest and biggest vessel ever built by James Goss, and she was renowned for her beautiful shape and sailing design. She has a rounded counter stern, a sharp bow, and narrow deck planking which follows her curved sheer. When launched, her accommodation was designed for practical purposes, with a fo'c'sle with bunks for two seamen, and an after cabin where the crew ate and the master was berthed. This configuration was altered in 1912 when the aft cabin was replaced to make room for a fitted engine. Her hold gave her the capacity to carry 100 tons of cargo. 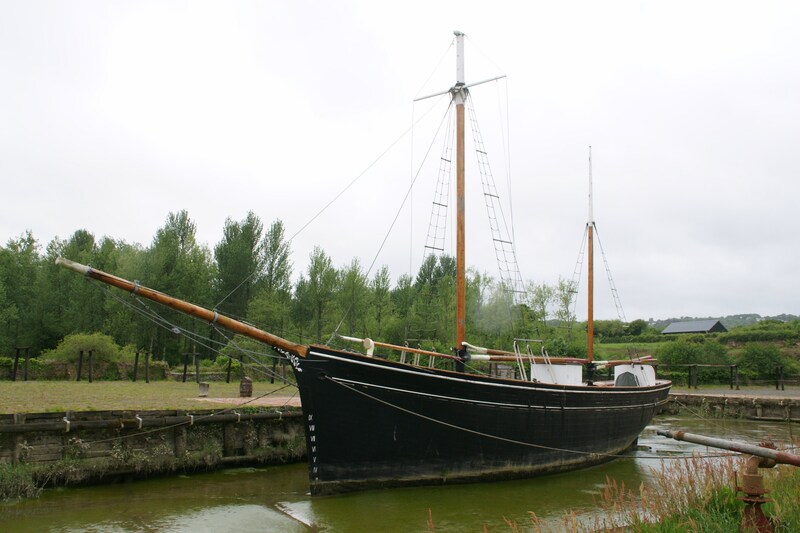 Today she is part of a small collection of Goss-built vessels conserved at Morwellham Quay, thus remaining in the West Country as the area with the closest association to her working life. Source: NHS-UK team, 16 March 2016. 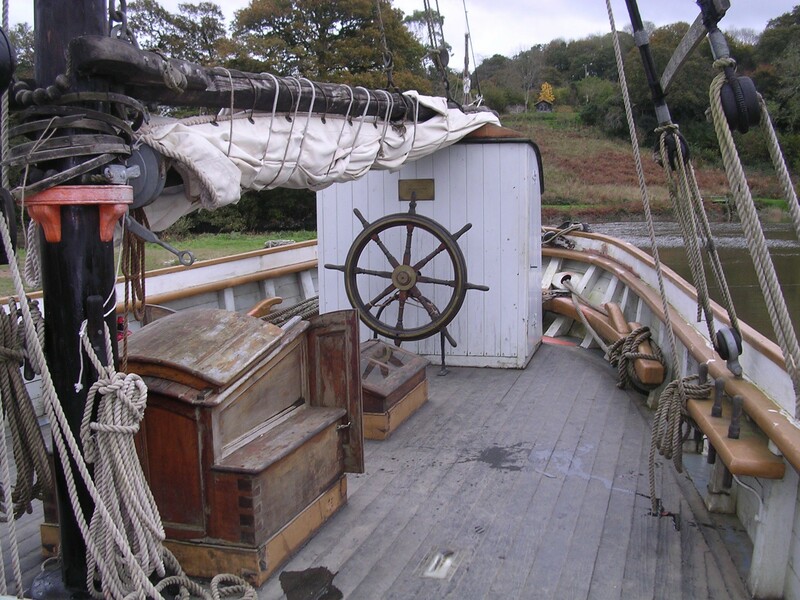 GARLANDSTONE was built on speculation, but was to be the last wooden merchant sailing vessel, save one, to be built in southern England and took five or six years to build. Built of timber from the Cotehele estate, she was not finished and ready for sea until 1909 - she may in fact have lain on her slipway fully rigged and awaiting a buyer for a year or more before she was launched. She was first registered at the Port of Milford Haven on 27th January, 1909. Her official number was 128746 and her signal letters MKXV; and she could carry about 100 tons of cargo. Captain J D Russian was shown in the first registration at Milford Haven as owner of all 64 shares and he was designated her managing owner as well as being her master. When launched she was fitted out with the usual fo'c'sle with bunks for two seamen, and an after cabin where all the crew ate together and the master was berthed. But by 1912 the after cabin had been obliterated and replaced by an engine space containing the twin cylinder paraffin engine built by Brazil Straker & Co. Ltd. of Bristol. Captain Andrew Murdoch bought 32 of the GARLANDSTONE's 64 shares from Captain Russian and became her master in December 1919. 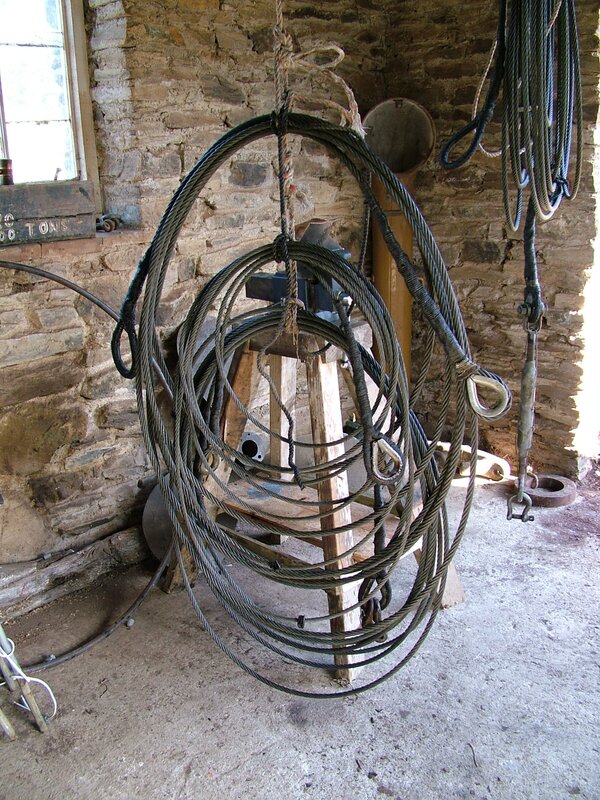 The other 32 shares were bought by Captain Murdoch's partner, Ernest Musgrove Smith, also of Gloucester. In March 1920, Andrew Murdoch acquired the whole vessel property of the GARLANDSTONE and retained the principal interest in her until May 1941.Captain Murdoch continued to operate the GARLANDSTONE in the Irish trade. He continued well into the Second World War, but in 1941, when he had discharged a cargo in a southern Irish port, his Irish crew refused to sail back to England with him. Captain Murdoch, who was by then an elderly man, set sail with the aid of a local boatman and sailed the vessel back alone, probably right over the wartime mine field at the mouth of the Bristol Channel, to King Road, off Portishead, where he anchored her after 48 hours at the wheel. The crew of a tug helped him take in the sails and the GARLANDSTONE was towed up to Lydney and laid up. Shortly afterwards he sold all the shares in her to Charles Morris Couchman of Gloucester who, ten months later, disposed of them to Lawrence Arthur Wingfield of London. The GARLANDSTONE continued in the Irish trade and it is in these years that she operated for some time under the command of Micha Leszczynski, from one of the great families of Poland who was both an artist and a seaman. In August 1943 all sixty-four shares in the GARLANDSTONE were bought by Alfred Parkhouse of Braunton, Devon, a member of a very well-known North Devon coastal sailing vessel owning family who also at this period owned a famous ketch, the CLARA MAY. 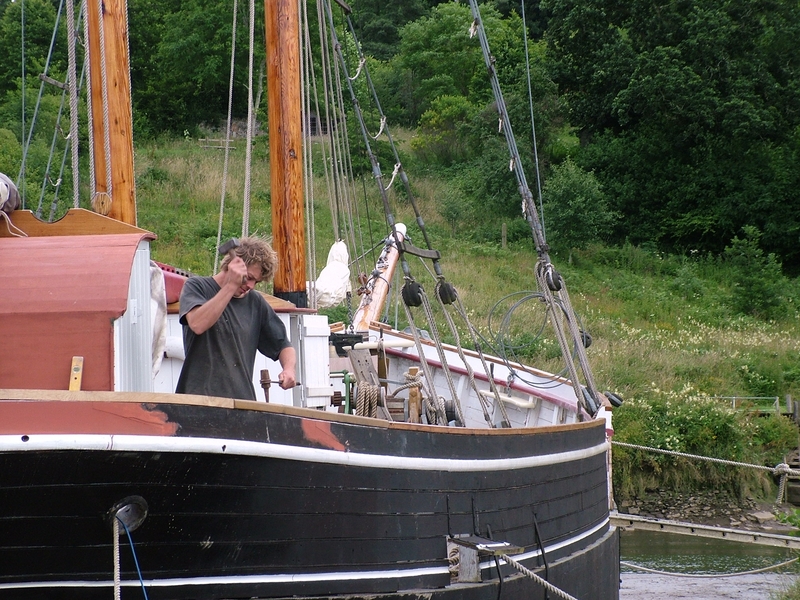 Mr. Parkhouse quickly sold thirty-two shares in the GARLANDSTONE to John Newcome, also of Braunton, North Devon; the vessel was equipped with a more modern engine and employed principally in the trade inside the Bristol Channel. 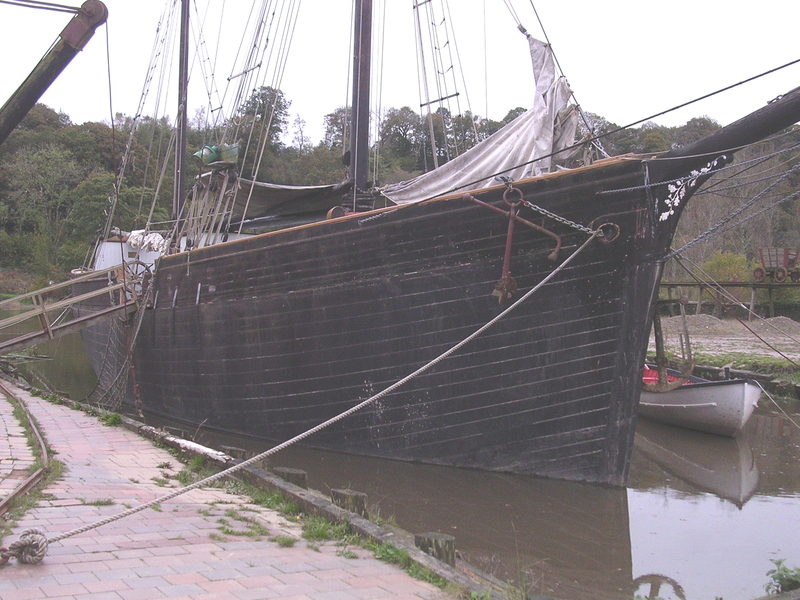 At last her foretopmast was shortened and her sail area reduced. Three years later she was sold to a United States citizen and her British register was closed. 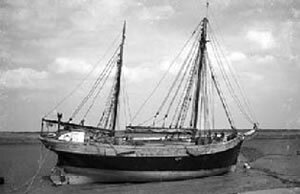 It was intended, so it was said at the time, that she should be converted into a cruising yacht, but, as with so many old merchant vessels sold for this purpose, the venture was not successful and the GARLANDSTONE lay for a long time in Barmouth. GARLANDSTONE's interior is bare, without even bulkheads, and no engine; the frames have deteriorated badly, and the hull is leaking. It is hoped that a restoration project will be mounted by the new owners of Morwellham Quay, who acquired the site from receivers in 2010.